“Clothing fire springs from the desire to offer man a single element that enhances both space and pleasure”. The fire: everything springs from it. From this mythical and legendary element, powerful and tangible, which Ak47 has been able to dress with simplicity and style, giving birth to useful and unpredictable design objects, capable of decorating space and delighting the eye and the mind. Ak47 represents the excellence in the production of outdoor fire pits and fireplaces. An excellence achieved through study and processing of raw materials, design and attention to detail, a unique and inimitable made in Italy design. A company that makes quality its main strength, supported by functional ideas and reliable products. Products which are able to move and touch; emotions that take shape through the burning of noble wood and passionate embers. Then why the name, so sharp and provocative? AK-47 is the acronym of the object designed back in 1947 with materials and technical standards thought to be long-lasting: “This is the feature we appreciate and which inspired us”. 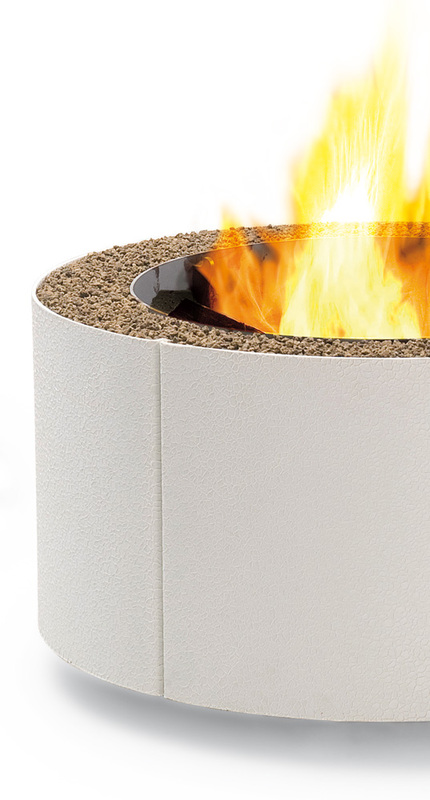 Fire is life, vigour, vivacity: these are characteristic features of our fire pits. From outdoor furnishing and decorations they turn into dynamic design objects, endowed with substance and a proper shape. In Ak47, the sensibility of designers merges with the ability and the knowledge of the best master of arts, shaping objects unique for their simplicity, utility, style and functionality. Our identity is defined by a collection of objects with spontaneous and informal design, which in contact with the environment rediscover their origin: the raw materials of which they are made of, as if they’ve never been forgotten.